www.sportseventsmagazine.com June 2018 29 PlayPanamaCityBeach.com or contact Chris O'Brien, Director of Sports Marketing & Special Events at 850.233.5070 FUN. 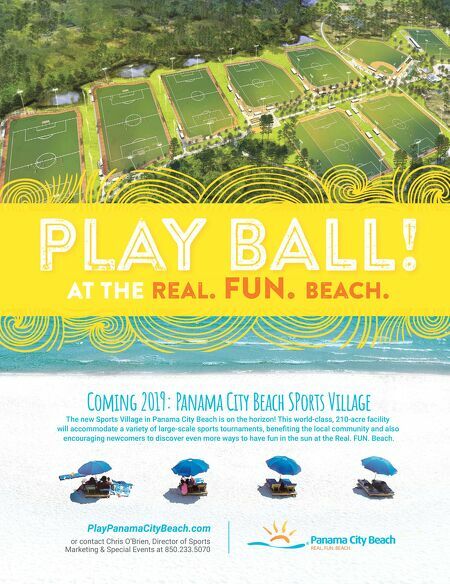 Coming 2019: Panama City Beach SPorts Village The new Sports Village in Panama City Beach is on the horizon! 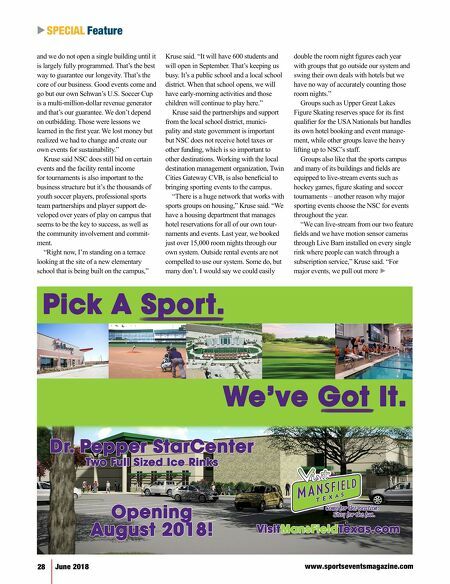 This world-class, 210-acre facility will accommodate a variety of large-scale sports tournaments, benefi ting the local community and also encouraging newcomers to discover even more ways to have fun in the sun at the Real. FUN. Beach.